An equipment manufacturer in the Agriculture industry contacted Pneumadyne to design a connector for the distribution of five tubing lines. Learn about the connector that was developed to simplify installation. 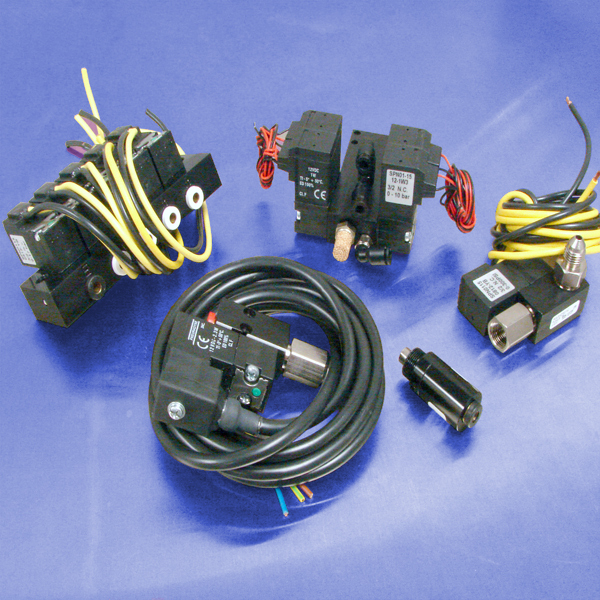 A dental equipment manufacturer contacted Pneumadyne to evaluate their existing pneumatic circuit. Learn about the valve assembly that was developed to eliminate leak points and reduce overall component size. A manufacturer of marine plumbing systems contacted Pneumadyne for a valve which would control the flushing system in large yachts. Learn how a standard valve was modified to fit the customer's application requirements. 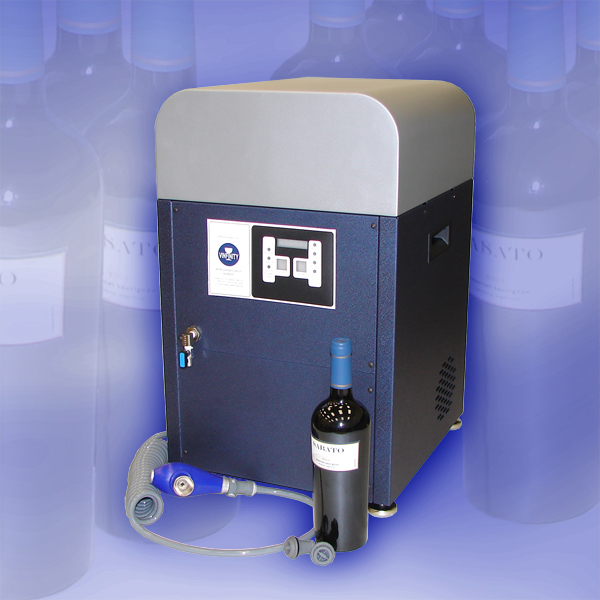 Pneumadyne was approached by a group of Design Engineers to develop a hand-held vacuum gun that could be attached to a wine preservation unit. Learn about the changes that were made within the pneumatic circuitry to ensure that the system consistently functioned as required. 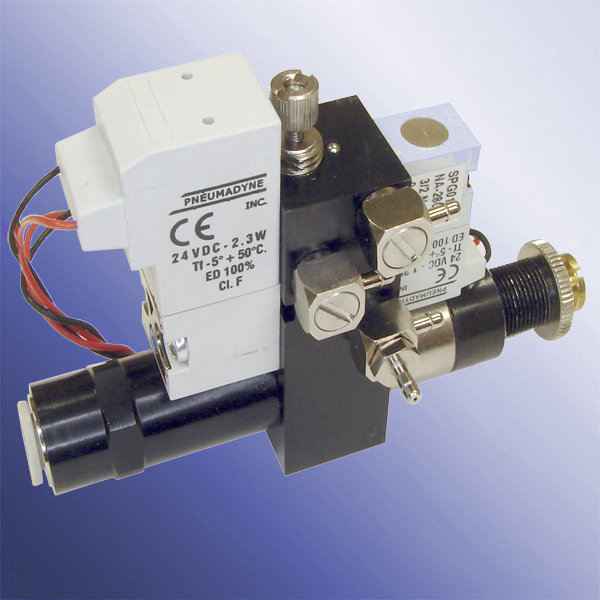 A manufacturer of liquid pump controls contacted Pneumadyne to re-design their pneumatic circuit. 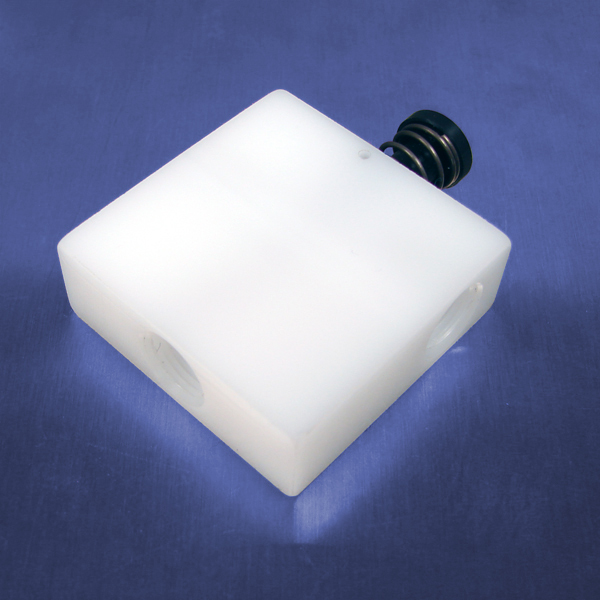 Learn about the device our engineers developed to eliminate potential leak-points and reduce the customer's assembly time and cost. 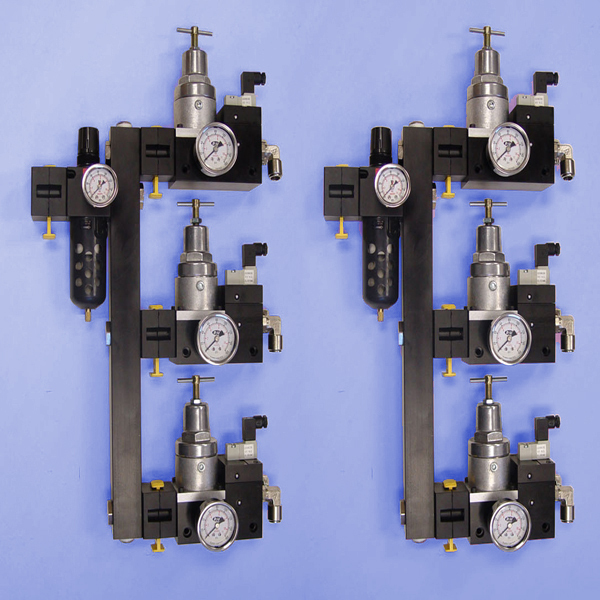 A lift device manufacturer contacted Pneumadyne engineers to design a system that would pneumatically control the raising, lowering, tilting and angling of their mechanism. 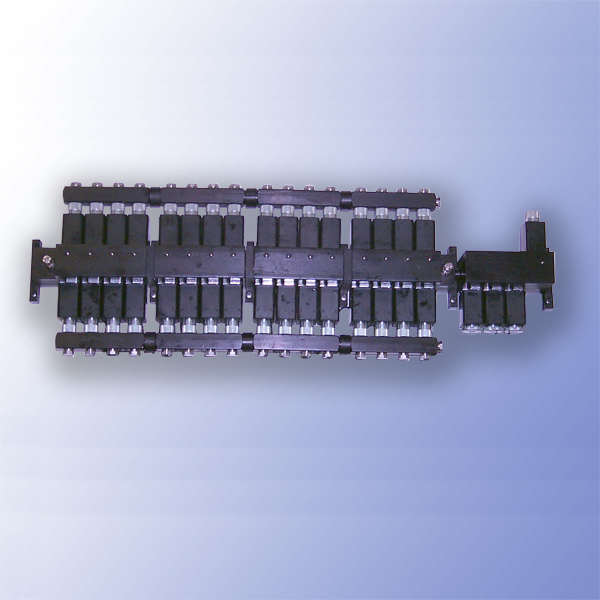 Learn about the single block assembly that our engineers developed to accommodate the weight and space limitations of the application. A manufacturer of medical equipment invited us to evaluate a new trauma device that they were developing. Learn about the integrated solution that was designed by our engineers; reducing the number of components used from 29 to 4. 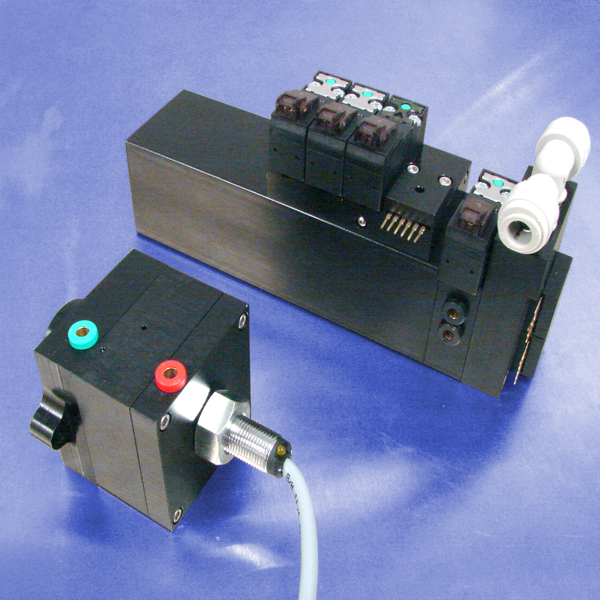 A manufacturer of medical equipment contacted Pneumadyne to design a pneumatic control system for their new operatory device. 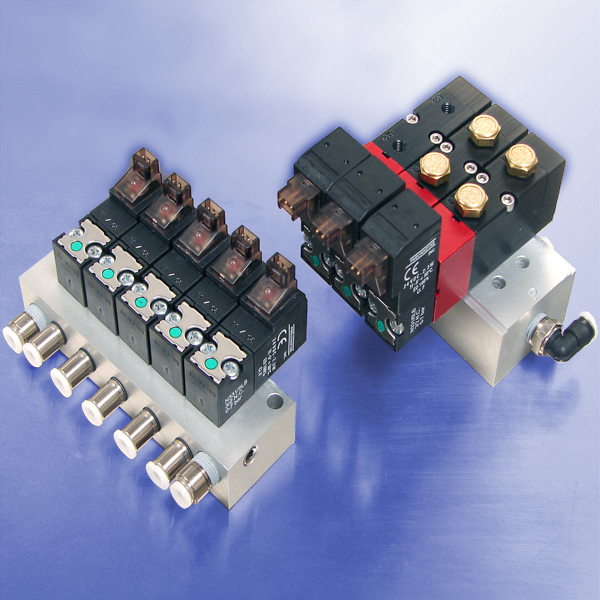 Learn about the integrated manifold block that was developed by our engineers to condense three circuits into one component. Testing the levels of toxic gases in a mine's atmosphere is crucial for the protection of the miners. 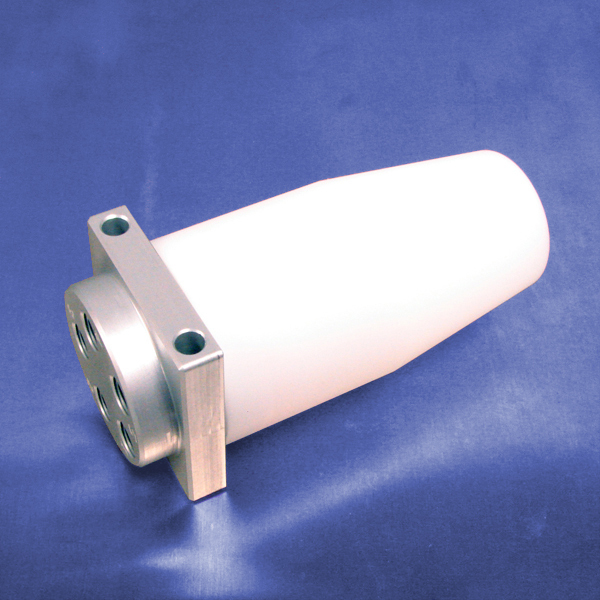 Learn about a plastic valve that was developed to fit a manufacturer's testing equipment. A manufacturer of industrial printers contacted Pneumadyne to consolidate several pneumatic components into a single, easy to install block. Learn about the component Pneumadyne developed to eliminate potential leak points and ease final assembly. A manufacturer of electronic equipment contacted Pneumadyne engineers to discuss the liquid cooling requirements of their device. 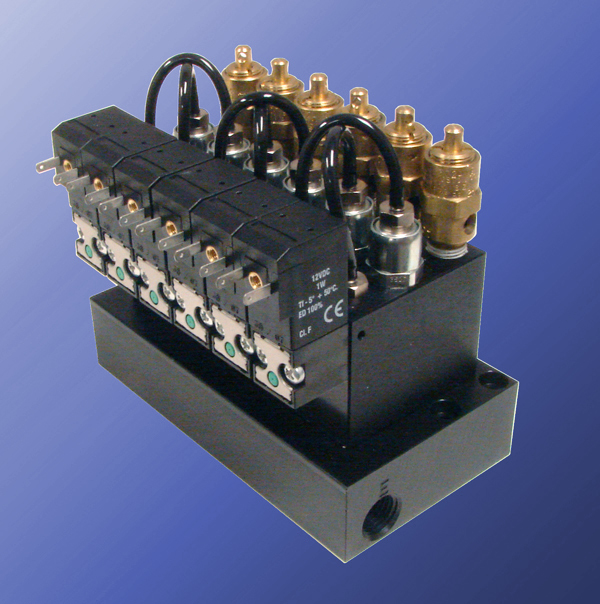 Learn about the custom manifold that was developed to provide liquid throughout seven cooling channels. 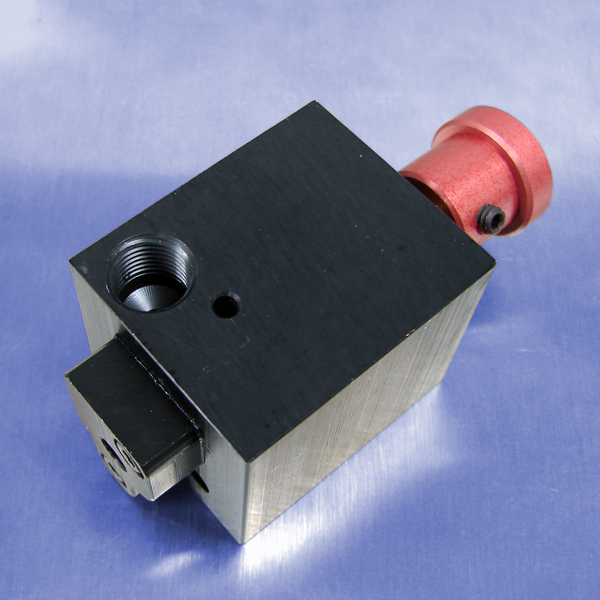 A manufacturer of chip cleaning equipment contacted Pneumadyne for a pneumatic interlock device that would ensure a machine's door was closed prior to this process. 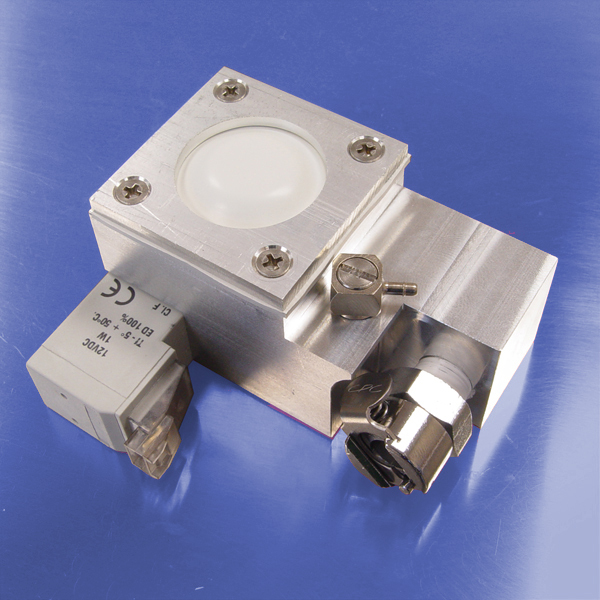 Learn about the valve that was developed to fit the customer's application requirements. 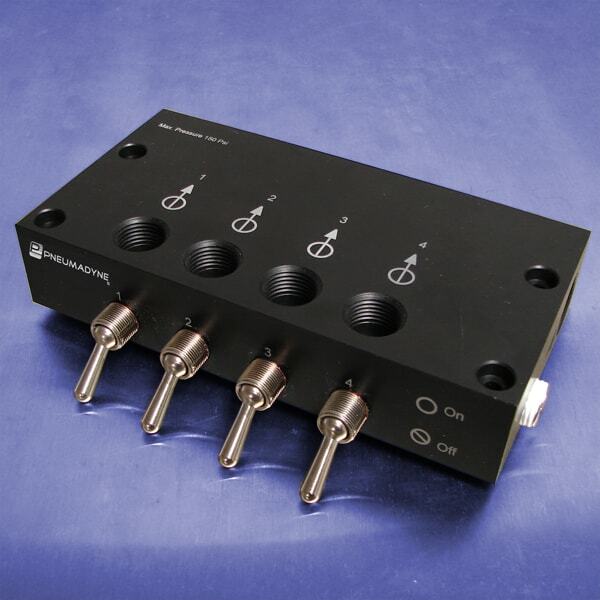 A manufacturer of laboratory testing equipment requested a dual feed valve that would enable them to disconnect either input without disrupting media flow. Learn about the valve bank that was developed to consolidate components and ease installation. Heat-treating steel is a lengthy process that requires specific metallurgical measurements. Learn about the modular valve bank that was developed by Pneumadyne to help ensure the consistent treatment of steel parts. Pneumadyne engineers were contacted by a manufacturer of solvent extraction systems to provide the pneumatic components for their new equipment. 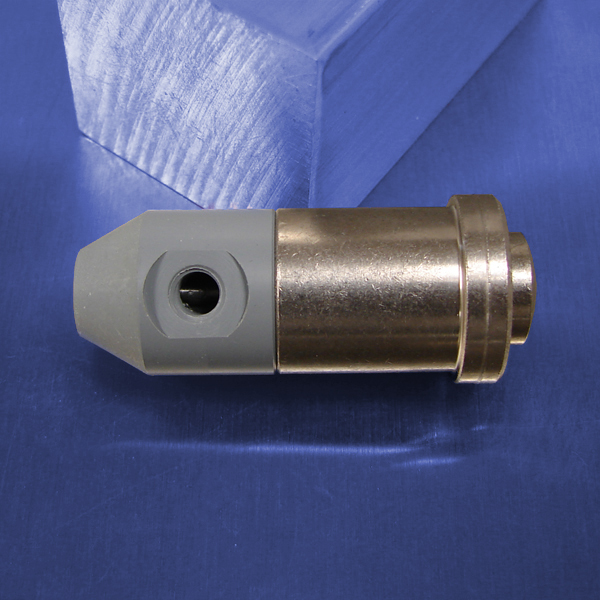 Learn more about the valve banks that simplified the assembly of their circuit. Adjustable air suspension has become an important feature in the manufacture of motorcycles. Learn about valve assemblies Pneumadyne has developed to inflate & deflate the shocks on these bikes. A manufacturer of military trailers contacted Pneumadyne engineers for a pneumatic control that could be used for leveling their suspensions. 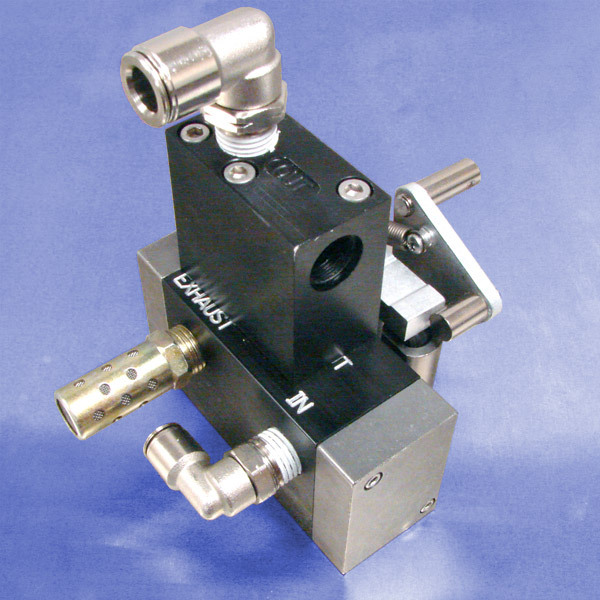 Learn about the valve block that was designed to meet their needs. 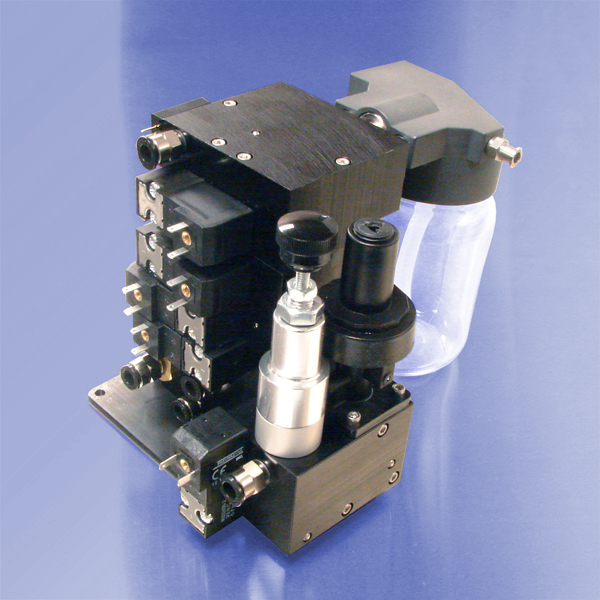 A manufacturer of automotive lift devices contacted Pneumadyne to re-design a component used in their pneumatic circuit. Learn about the bulkhead that was designed to control the lift device. 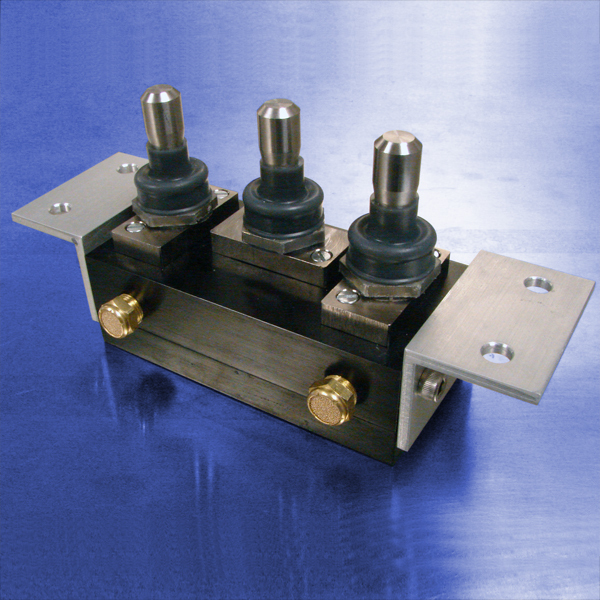 A manufacturer of exterior load scales contacted Pneumadyne for a new valve that would fit their existing equipment. Learn about the custom valve that was developed to meet their actuation and installation requirements.